load, sdr sharp, change source to spy server network, then click on the three dots to open a list of remote servers you can freely access. In our case we are going to search for m0jfp, and double click when its found the next screen should open. 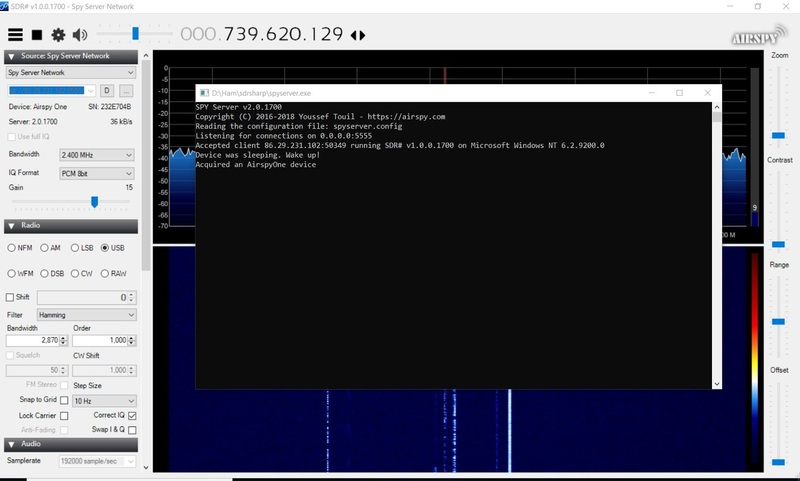 Double click on the server link starting sdr:// this will open the remote link on sdrsharp client. 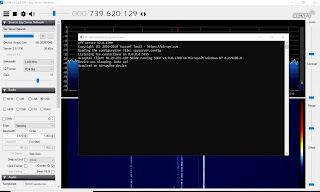 SDR sharp now starts and gives you control over our remote server, note all transmissions on QO-100 are USB. Note there will be a slight drift, but by tuning up or down a small amount all data or voice can be decoded or listen to.